jaylen is using Smore newsletters to spread the word online. When Hillary Clinton was elected to the U.S. Senate in 2001, she became the first American first lady to ever win a public office seat. She later became the 67th U.S. secretary of state in 2009, serving until 2013. 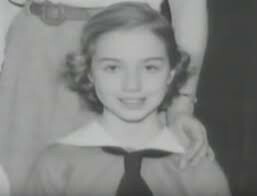 Hillary Diane Clinton was born Hillary Diane Rodham on October 26, 1947, in Chicago, Illinois. She was raised in Park Ridge, Illinois, a picturesque suburb located 15 miles northwest of downtown Chicago.Hillary Rodham was the eldest daughter of Hugh Rodham, a prosperous fabric store owner, and Dorothy Emma Howell Rodham; she has two younger brothers, Hugh Jr. (born 1950) and Anthony (born 1954).As a young woman, Hillary was active in young Republican groups and campaigned for Republican presidential nominee Barry Goldwater in 1964. She was inspired to work in some form of public service after hearing a speech in Chicago by the reverend Martin Luther King Jr. and became a Democrat in 1968. Rodham attended Wellesley College, where she was active in student politics and elected senior class president before graduating in 1969. She then attended Yale Law School, where she met Bill Clinton. Graduating with honors in 1973, she went on to enroll at Yale Child Study Center, where she took courses on children and medicine and completed one post-graduate year of study. Give working families a raise, and tax relief that helps them manage rising costs. Create good-paying jobs and get pay rising by investing in infrastructure, clean energy, and scientific and medical research to strengthen our economy and growth. Close corporate tax loopholes and make the most fortunate pay their fair share. Hillary believes the defining economic challenge of our time is raising incomes for hardworking Americans. Too many families are working harder and harder, but still not getting ahead. Our country is standing again, but we’re not yet running the way we should be. From her first day in office to the last, Hillary Clinton will fight for you and for more take-home pay so you can get ahead and stay ahead. Hillary understands that in order to raise incomes, we need strong growth, fair growth, and long-term growth. And she has a plan to get us there. 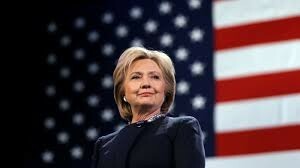 Hillary Clinton Should Be Our Next President! I think Hillary Clinton should become our next President because I think she's smarter and much more politically astute, if much less personable, than Bill. She definitely knows the political turf, the rules of engagement, and seems to be reasonably well respected internationally. It's time we had a woman President, and she's far and away the best qualified of the potential contenders. It would depend a lot on how well she communicated that she "got it" that she works forUS, not "she's the boss". Some of her lack of appeal centers around the "I know whats best for you" attitude she has exuded in the past. It would also depend a lot on who else was running. I'm a liberal-leaning moderate, and having a stable economy with a good long term outlook is my priority. Some jackass who comes in with "the government needs to be run like a business" attitude, and even worse, "business experience", would make it a no brainer to vote for Hilary if she were running.